BANGKOK, Aug. 14 (Xinhua) -- Thailand's Meteorological Department issued a weather warning on Tuesday, saying that tropical storm Bebinca is expected to bring more rains in northeastern and northern Thailand and may cause floods. 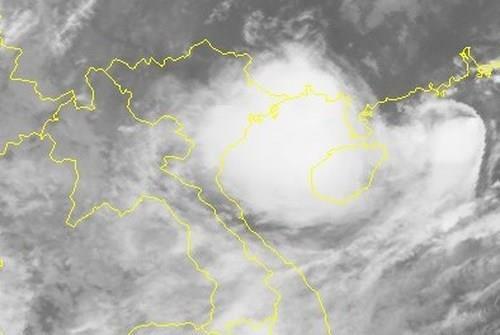 The department said the storm, now over the South China Sea, will move to north Vietnam and Laos during Thursday to Friday and thus bring continuous rain and isolated torrential downpours to Thailand. The department warned local people of floods, landslide and potential effects of the coming rain. The weather warning also said a southwest monsoon prevails over the Andaman Sea and the Thai Gulf is getting stronger and triggering a 2-4 meters high wave in Andaman Sea, over 4 meter wave in thundershower areas and and 2-3 meters high in the upper Thai Gulf. The department thus suggested that all ships and boats should be cautious and small boats should keep ashore throughout the period.